The short answer to "What are carcinogens?" is: Substances and exposures that can lead to cancer. Learn why processed meats fall into this category. Glyphosphate, an ingredient found in a popular brand of weed killer, has been added to the California State Office of Environmental Health Hazard Assessment's list of carcinogens. Is the slice of bacon on your BLT really as dangerous as smoking a cigarette? That was the implication of some of the scary headlines following the World Health Organization’s recent report stating that processed meat is a carcinogen that raises the risk of colon cancer and stomach cancer, among other types of cancer. An expert panel of 22 scientists from the WHO’s International Agency for Research on Cancer further concluded that red meat probably also contributes to colon cancer, prostate cancer, and pancreatic cancer risk. But what are carcinogens? What About Carcinogens in Meat? The World Health Organization’s (WHO’s) listing of processed meat such as bacon and cold cuts as a “Group 1” carcinogen—the same group that contains smoking and asbestos—doesn’t mean it’s equally dangerous as a carcinogen. Rather, the designation reflects the strength of the evidence linking processed meats to cancer risk. The WHO experts evaluated more than 800 studies from the past 20 years. 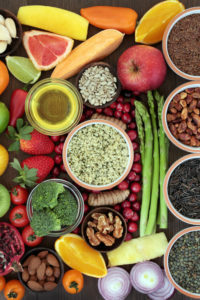 The findings, Dr. Mason says, support longstanding dietary advice to limit intake of processed meat, control portion sizes, and frequently substitute seafood, poultry, or plant protein for red meat when planning meals. What counts as “processed meat”? The term is defined as any meat that’s been transformed to enhance flavor or improve preservation by salting, curing, fermentation, smoking, or other processes. That would include bacon, sausages, hot dogs, jerky, and cold cuts. 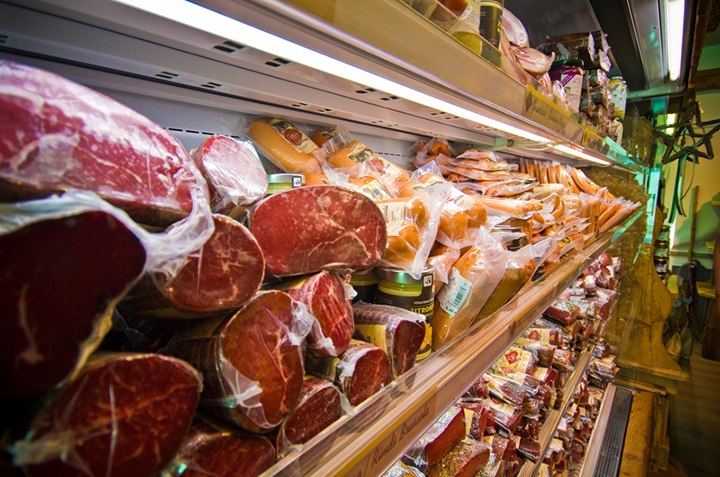 Scientists believe that chemicals added to meat in processing—nitrates and nitrites, for example—may be responsible for the increased cancer risk, but a cause-and-effect relationship has not been conclusively established. How much processed meat is too much? The WHO report said more research is in order, but the data does show that risk increases with consumption. An analysis of 10 studies indicated that eating about 1.75 ounces of processed meat daily—about the equivalent of one hot dog or a couple of slices of cold cuts or bacon—was associated with an added lifetime risk of colorectal cancer of roughly 18 percent. For red meat, each 3.5-ounce daily serving is thought to increase colorectal cancer risk by a similar amount—about 17 percent. Most Americans eat much larger portions of red meat, however; a 3.5-ounce serving is a little bigger than a deck of cards or a bar of soap. It’s smart to ask the question, “What are carcinogens?” But you shouldn’t panic over the risk associated with processed and red meat. For the average American, the lifetime risk of developing colorectal cancer is about 5 percent; an 18 percent increase in that risk would raise the lifetime risk to around 6 percent. An occasional hot dog or BLT or eating a right-sized portion of red meat once or twice a week would translate to an even smaller total risk. Using herbs and spices such as garlic, fennel seed, and hot pepper flakes to add flavor in place of processed meats. Grilling, pan-frying, and other high-temperature methods of cooking may produce higher amounts of carcinogens, the WHO noted, so choosing lower-temperature methods such as roasting or braising may reduce your risk. add, alcohol, asbestos, cancer, cancer research, cancer risk, cancers, chemotherapy, cold cuts, colon cancer, colorectal, colorectal cancer, cooking, garlic, health, mold, nitrate, nitrates, nutrition, nutritional value, pancreatic cancer, pesticides, physical activity, portion sizes, Prostate, prostate cancer, protein, radiation, report, research on cancer, risk of colon cancer, smoking, spices, stomach cancer, strength, tobacco, toxins, types of cancer, vegetarian, vitamins, what are carcinogens.